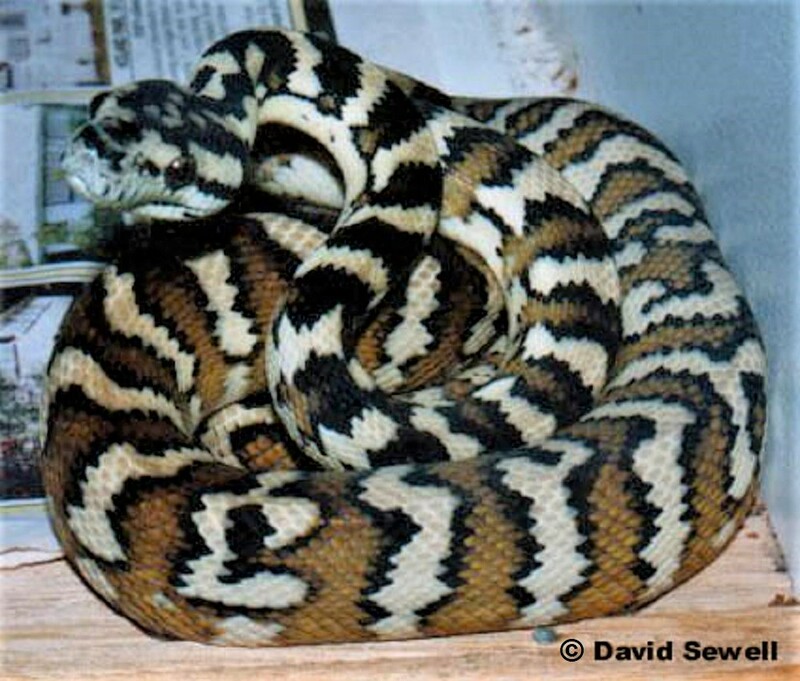 As most captive Northwestern Carpet Pythons come from the general area around Darwin, they are usually referred to as "Darwin Carpets" in the Pet trade, however the subspecies occurs in Western Australia and Queensland as well as a large area of Northern Territory and New Guinea. 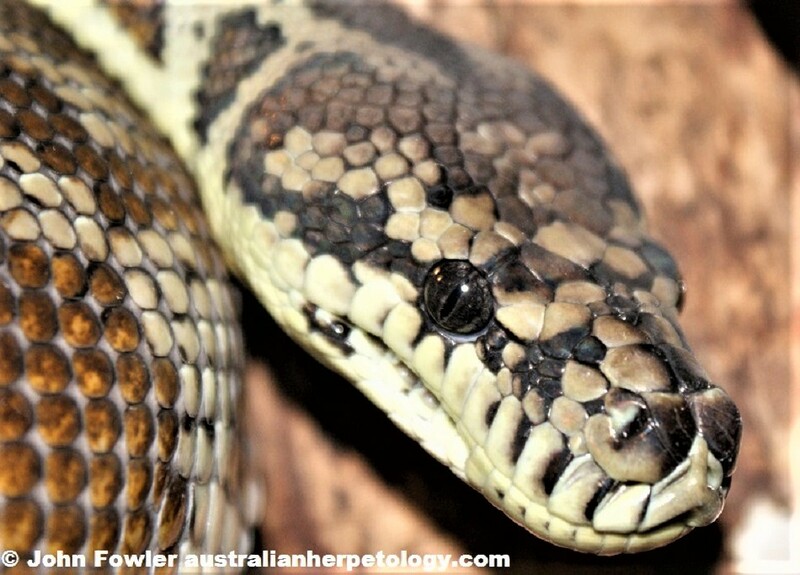 Map shows approximate Australian distribution of the Northwestern Carpet Python Morelia spilota variegata . 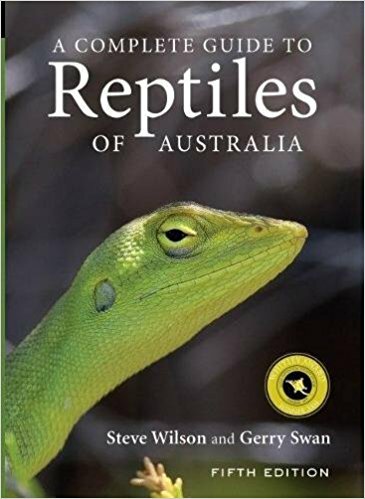 This sub-species also occurs in New Guinea. 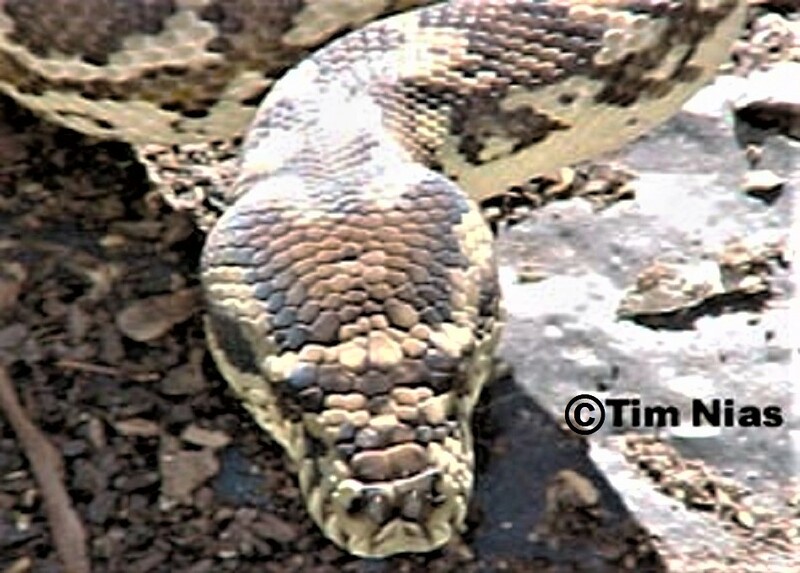 Many pythons look at their best when they first get their adult patterning (above). 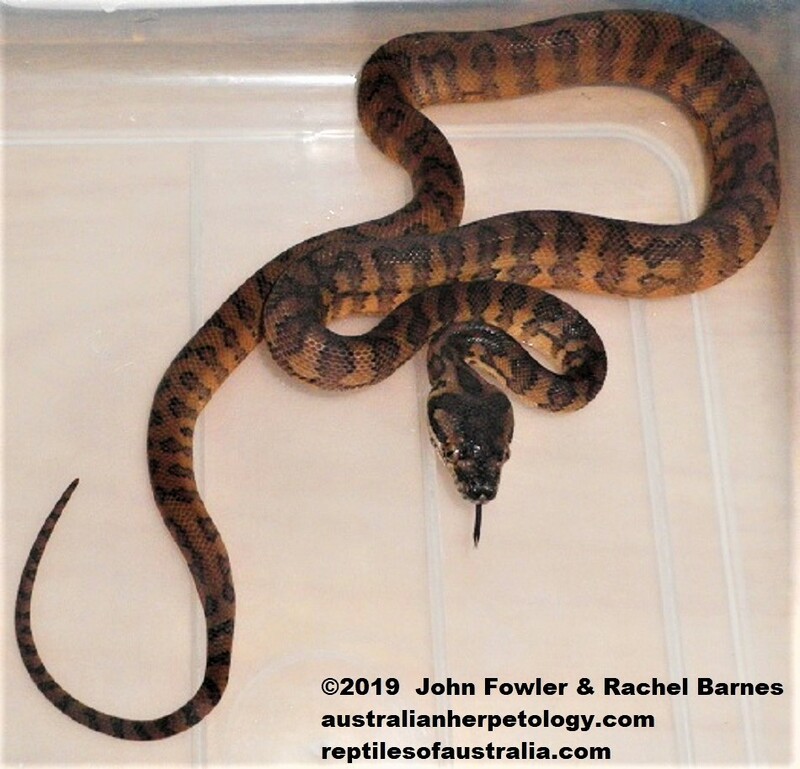 This Juvenile Northwestern Carpet Python Morelia spilota variegata has its body in a coil and its mouth open ready to strike. 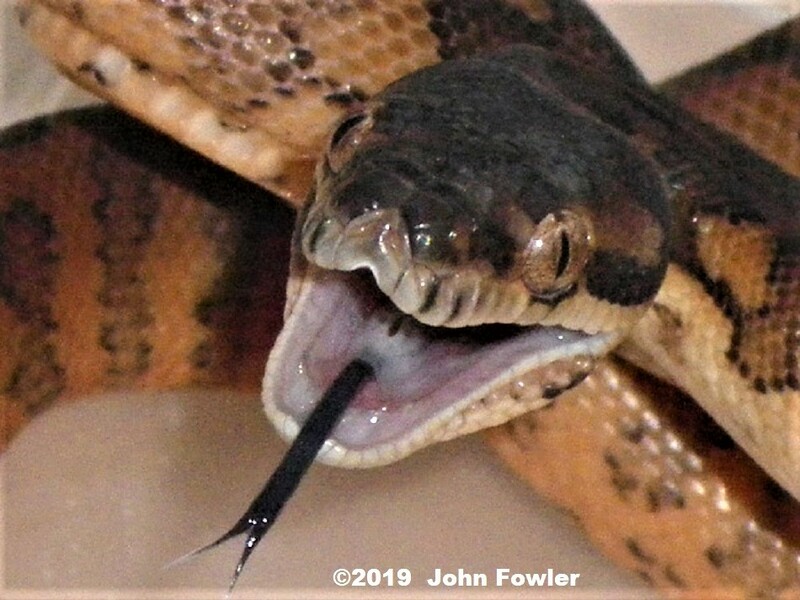 Note the strongly forked tongue present in all snakes and some lizards, and just behind that is the glottis (breathing tube) which can be extended forward when the snake is swallowing large food to allow it to continue feeding. Notice what is left of the egg sac in the video above. It either gets absorbed or dries up after hatching. 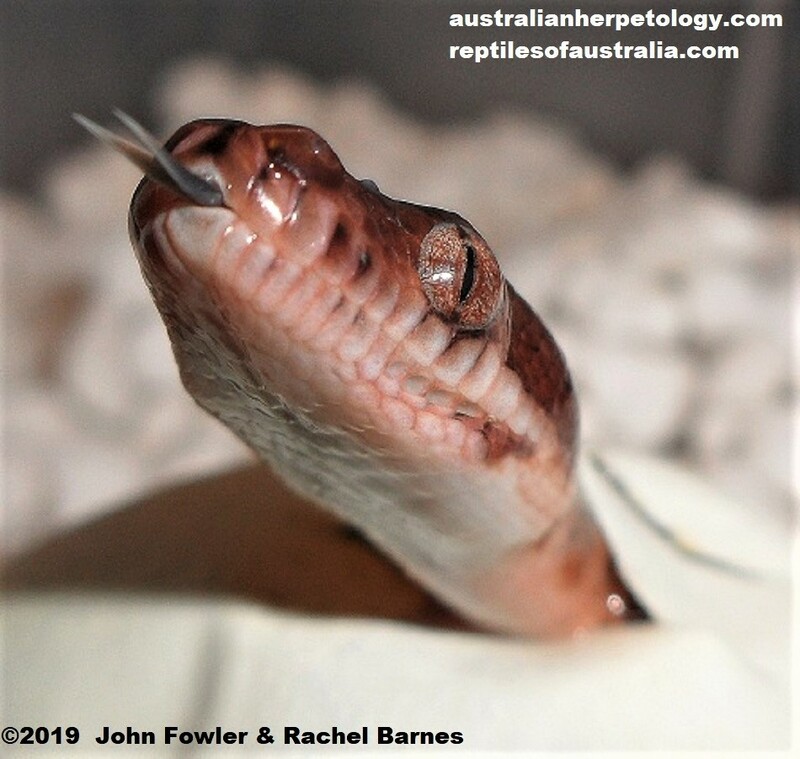 All albino Carpet Snakes in captivity in Australia are descended from this subspecies, however it appears some have been crossed with other subspecies. 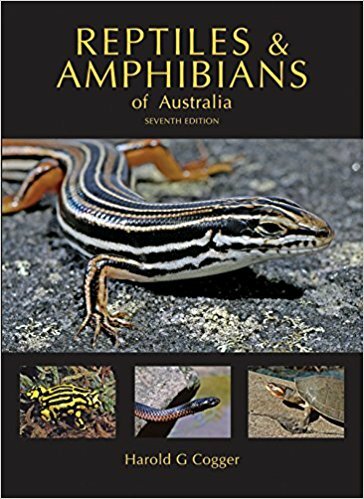 Note that crossing subspecies in South Australia (and possibly some other states) is illegal. 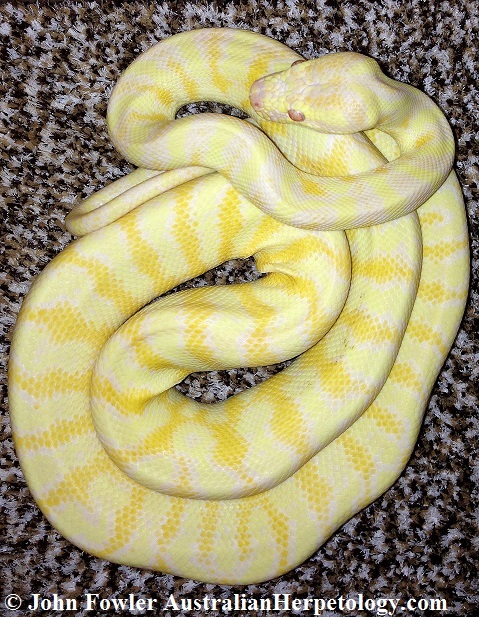 My understanding is that there were 2 original albino snakes. One of those was called Blondie who is probably the best known snake in Australia .The story of Blondie can be found here and pictures here. but all babies will be carrying the albino gene because the "normal" gene is dominant, whereas the albino gene is recessive. however the chance that a normal looking snake from this clutch is a het is 66% so the babies are called 66% hets. A snake which known to definitely be a het is often called a 100% het to differentiate it from a 66% het.